Lincoln MKZ Forum > Lincoln MKZ General Discussion > New Member Introductions > Tear in steering wheel - repair? 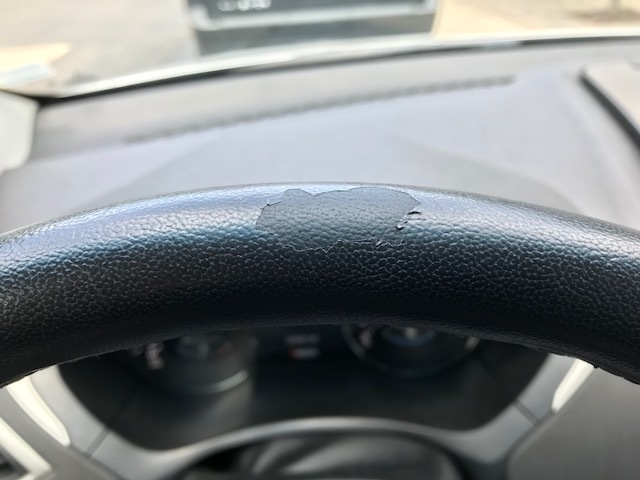 Tear in steering wheel - repair? I have a 2014 MKZ (bought used) and the outer layer of leather is peeling (see photo). The guy who works on used Lincolns at my dealer said for $125 he could repair it. Is there an aftermarket product you recommend that I could do myself to stop additional tears and have it look good (I have it taped/wrapped at the moment to avoid additional tearing)? I think you could get a new wheel for 125, no?